When you work from home, the common misconception is that you’re hardly working. You don’t have to commute; you don’t even have to get dressed. But pick any day from 2014. Zaytoven probably made more beats that day than most producers do in a week. Today is no different. On the day we’re scheduled to speak, the happily married 35-year-old producer only breaks from working inside the basement studio of his Atlanta home twice: once to help his two children with their homework and once for our interview. He plans to spend several more hours behind the boards after the latter. When asked about his day-to-day schedule, Zaytoven quickly reaffirms the obvious. “Work, work, work,” he says over the phone. His answer might sound jaded, especially for a producer with his experience. But the energy in his voice belies all cynicism. The words are more motivating mantra than beleaguered lament. For evidence that the repetition is justified you need only scan his extensive, ever-expanding resume. With over one hundred production credits to his name since the late ’90s, Zaytoven is one of the key producers responsible for laying the foundation of Atlanta rap’s contemporary breed of trap music. Today, after over a decade of incessant collaboration with Atlanta’s Gucci Mane and a long list of other notable Southern rappers, Zaytoven’s singular blend of layered, oscillating synth melodies, ominous organ chords, and booming low-end bass is perhaps more popular than ever before. Unlike once-prominent Atlanta producers of the mid-aughts, whose work has declined in recent years, Zaytoven’s prolific output and innate ear for emerging talent have led to a protracted relevance. His influence is discernible in the production of younger contemporaries (e.g. Sonny Digital, Metro Boomin) and blatantly obvious in that of novice producers who label their work “Zaytoven Type Beat” online. With a massive, Billboard-charting single from 2013 under his belt (“Versace”), several of his beats on No Label 2, the acclaimed 2014 mixtape from Atlanta rap trio Migos, a production credit on Nicki Minaj’s Pinkprint, and dozens of soon-to-be released songs in the vault, he’s successfully made the transition from trap music forebear to one of the sub-genre’s most distinguished front-runners. The oldest of four children, Zaytoven was born Xavier Dotson in Frankfurt, Germany, his birthplace the result of his father’s work in the U.S. Army. The Dotson family tempered the inevitable physical transience this job dictated with an unshakeable spiritual faith. “No matter where we went, we were in church,” Zaytoven says. With his father doubling as a preacher and his mother working as a choir director, he and his siblings learned to play instruments through church bands. Whether divine intervention or simply the result of too many children vying for time on the drums, Zaytoven gravitated toward the organ and piano. 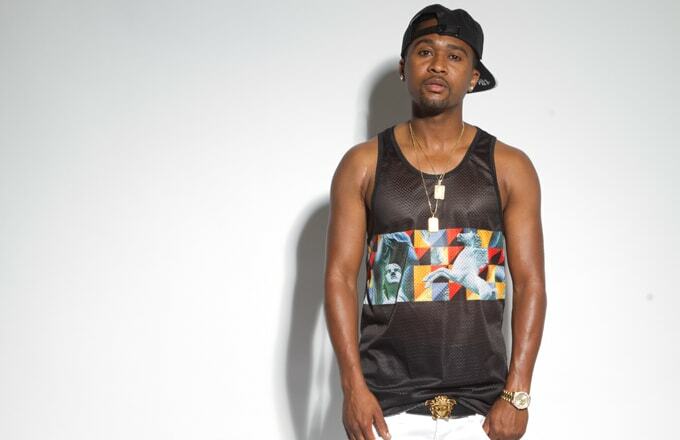 In middle school, Zaytoven became a rap convert after listening to a friend’s cassette single of Dr. Dre’s “Dre Day." However, his family knew the “g” in g-funk didn’t stand for gospel. “Sometimes I [fell asleep with rap] music playing and my dad would come in [my room] heated mad because of the words that were coming out of the stereo,” Zaytoven says. Studying producers like DJ Quik for inspiration, Zaytoven’s tenacity and musical ability eventually paid dividends. He sold beats to JT and worked with Bay Area rappers like E-40 and Messy Marv while still in high school. When his father retired and moved the family to Atlanta, Zaytoven stayed with friends in order to graduate from Galileo Academy and continue producing for local rappers. For various reasons, working in other people’s studios became unsustainable. Lacking the money for his own apartment, and thus his own studio, Zaytoven began shipping recording equipment to his parents’ new home. In the months before he moved, the vacant basement they promised him became his dream sanctuary. Once in Atlanta, Zaytoven enrolled in a local barber college and began cutting hair to finance the rest of his studio. Shortly after, a fellow classmate introduced him to now-longtime collaborator Gucci Mane. Though Gucci originally pushed the rap career of his nephew, Zaytoven believed he was the star. After selling mixtapes out of their respective trunks for much of the early 2000s, Zaytoven and Gucci garnered mainstream recognition with 2005’s “Icy.” An almost tropical beat that splits the difference between Big Tymers-era Mannie Fresh and minimalist Bay Area slaps, it sounds virtually nothing like Zaytoven’s later work. Of course, the then still-developing producer didn’t mind coming into his own with a larger audience watching. It was actually the plan all along. Still, Zaytoven’s concurrent rise initially resulted in few brushes with the mainstream. His biggest hit after “Icy” was Usher’s Billboard-charting single “Papers,” which he scored with a series of computerized keyboard solos. Apart from that, he’s rarely strayed from producing innumerable trap beats. To track down and download all of his music with Gucci Mane alone—both on mixtapes and official albums—would be a near Sisyphean task. Using vintage keyboards/MPCs coupled with contemporary music production software, Zaytoven claims he’s now become so adept at crafting his brand of trap beats that he can crank one out in five minutes. Regardless of how they’re made, demand for these feverishly composed suites couldn’t be higher. He can’t even post a picture on Instagram without followers hounding him for beats. Though flattered, he’s also understandably frustrated. When not working with any of his frequent collaborators, Zaytoven’s found several other outlets to pacify his seemingly insatiable desire to work and create. First and foremost, film. His third independent film, Birds of a Feather, which he both scored and starred in, is a semi-autobiographical drama about his rise to fame (you can stream it on Netflix). His latest film, Finesse, which he scored, acted in, and executive produced, was released on Christmas and will be available for streaming in February. Though an avid moviegoer, Zaytoven claims his scores haven’t been influenced by any specific composer(s). Aside from setting up screenings for Finesse across the country, Zaytoven is preparing for the release of A to Zay, the producer’s handbook he penned with hopes of showing nascent independent producers how to make a living in the rap industry. As if all of the above weren’t enough, he still plays in his church band on Sundays.